Swedish rockers, Ghost (known as Ghost B.C. in the U.S.) don the stage in hooded robes and black, faceless masks, with the exception of frontman, Papa Emeritus, who sports skull-like makeup on his face and a dramatic black cardinal costume. 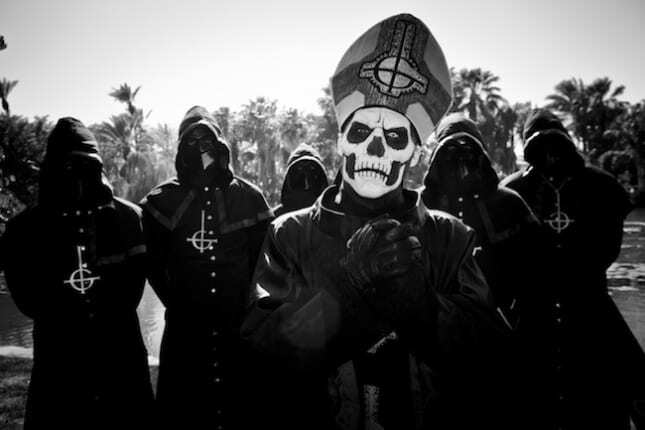 While Papa Emeritus commonly carries a sceptor or thurible on stage, the rest of the band is comprised of non-descript musicians known only as ghouls. The band’s music echoes that of Blue Oyster Cult and King Diamond. You might want look over your shoulder the next time you are walking the mean streets of Cleveland. That’s because Cleveland is home to the nine-man band, collectively known as, Mushroomhead. 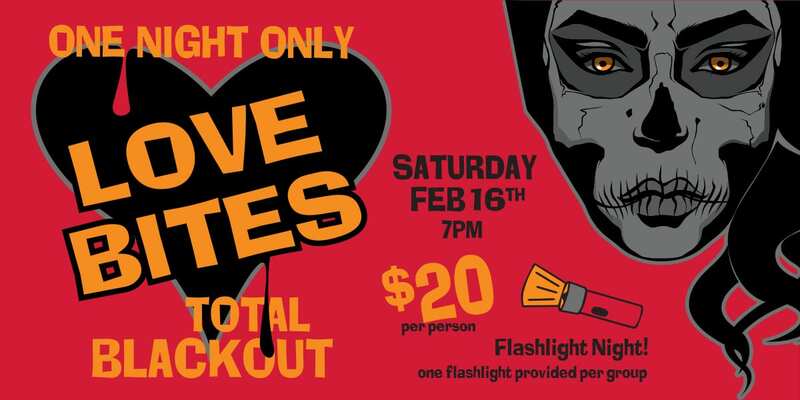 Creating electronic-tinged metal music since 1993, the band has been a revolving door of masked-and-makeup musicians, with the exception of lead singer, Jeffrey Nothing; keyboardist, Shmotz; and drummer, Skinny. Proving they are more than just nine faces, the band has also gone on to sell more than 2 million albums globally. The second Scandavian entry on the list, Mortiis is the namesake project of Havard Ellefsen, former keyboard player from the black metal band, Emporor. Mortiis started as a solo act, creating electronic and dark ambients music—a distinct departure from the music of Emporor—and morphed into a full-fledged band over time. Along the way, the idea of a storyline associated with consecutive releases was also abandoned, along with the imp-like latex facial special effects. 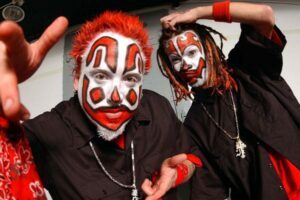 Everybody, sing along: “I’m just a Juggalo, and everywhere I go….” Insane Clown Posse, more commonly known as simply, ICP, has created one of the most recognizable identities in music during the last three decades. Fans of the the band call themselves Juggalos and paint their faces like the band. There is an annual Gathering of the Juggalos, which is akin to a Lollapalooza for Juggalos. Their pop culture notoriety has been a mixed bag, including fallouts with Disney, mentions on The Simpsons, a feud with fellow Detroiter, Eminem, and numerous legal battles including assualt charges and Juggalo culture officially being recognized as a gang affiliation by the FBI. For ICP, though, it’s just another day at the office. For years, Florida-native, shock rocker, Marylin Manson, was America’s scapegoat for all things wrong with “kids these days.” Early in his career, he protrayed himself as a bit of a Willy Wonka gone mad type of character, but moved full on into Antichrist mode with his second full-length release, Antichrist Superstar, sporting black leather wings, colored contacts, top-shelf make up and other horrific costuming. Never one to rest on his creative laurals, he has continued to reinvent himself over the years and used costume effects that include carpenter stilts, prosthesis, and even scarring. To date, Manson has acrrued nearly 70 million albums sold worldwide and four grammy nominations. Born Robert Cummings, he became Rob Zombie as the frontman of rock band, White Zombie, in the late ’80s. The band took its name from an early horror flick, and adorned its early records with samples from horror movies, as well. 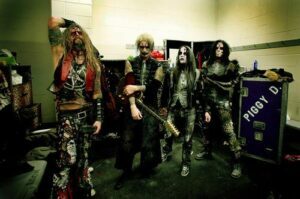 At the time, Rob Zombie’s appeareance was more “denim and dreads” than anything, but as he set out as a solo performer, the change to detailed makeup and customing became more pronounced, accenting what was already becoming one of the most notable live shows in the world. Not just a musician, Rob Zombie is responsible for much of the band’s artwork and has directed noted contemporary horror films, such as: House of 1000 Corpses, The Devil’s Rejects, Halloween and The Lords of Salem. 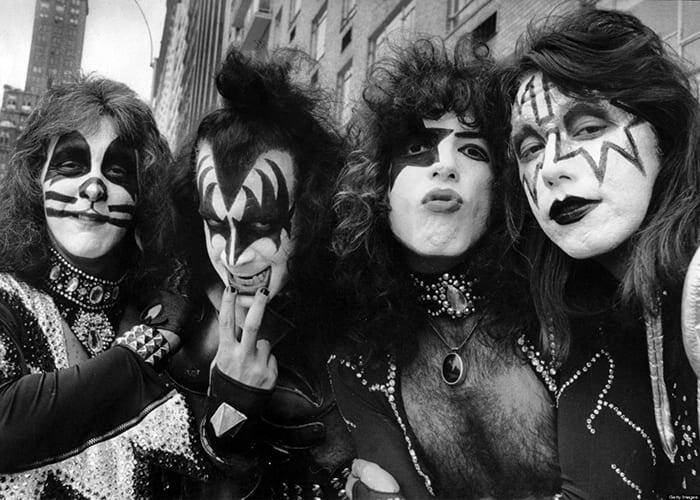 It’s hard to argue with numbers and, by every measure, the makeup marauders known as KISS are one of the most popular and successful rock bands in history. The first band to really embrace alternative personas and still reach vast commercial success, the members of Kiss were known as The Demon (Gene Simmons), The Starchild (Paul Stanley), The Spaceman (Ace Frehley) and The Catman (Peter Criss). With well over 100 million albums sold globally, merchandising that no other band on the planet comes close to, and enshrinement in the Rock and Roll Hall of Fame, their degree of success isn’t just impressive; it’s scary. Hailing from Finland, monster rockers, Lordie, round out the Scandanavian trifecta on our list! While Lordi’s music isn’t as heavy as some of the other acts on this list, their affinity for monster culture was on full display with their only real hit, 2002’s “Would You Love a Monsterman?” Vocalist, Mr. Lordi (born, Tomi Petteri Putaansuu) is, in real life, a makeup artist and graphic designer. It’s no wonder, then, that in addition to being a primary songwriter in the band, he also shoulders the load of costume creation and band artwork. He seems to have found the special formula for success, though, as Lordi has been actively touring the world since 2002. Since 1984, GWAR has been the band that dresses like monsters. 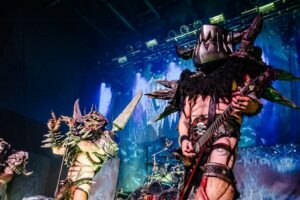 Formed in Richmond, Virginia by a collective of art students, GWAR’s music is marked by humorous, often distasteful, lyrics and epic stage performances that often leave fans drenched in synthetic bodily fluids. The band has been nominated for two Grammies, including one for their long form music video for Phallus in Wonderland, which they lost to Annie Lennox. GWAR, like many bands on this list, have featured a rotating lineup of musicians, proving GWAR to be more an entity in and of itself than your average band. In March of 2013, founding member and the only remaining member from the original lineup, vocalist, Dave Brockie (known by the stage name of Oderus Urungus) passed away from a lethal heroin overdose. True to the band’s ethos, however, the band continues on, realizing the art of GWAR and Brockie’s personal creative vision.